With this issue we celebrate the third birthday of this column. On July 26, 1938, the initial article of “Scholla” carried an account of the inventive genius of Joseph Shirk, of Turkey Hill, near Bowmansville. The article was entitled “Reff Maeye” and discussed Shirk’s invention of the modern grain cradle. Additional facts have come to light about the activities of this self-educated Lancaster County farmer and it is appropriate that this birthday issue should be devoted to the revelation of other facts about the man. Jospeh Shirk invented the first revolver. Prior to the Civil War there were repeating weapons known as “pepper-boxes” which were dangerous to handle. 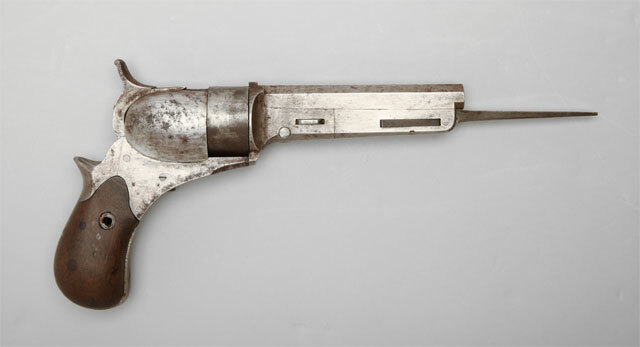 Next in the evolution of the modern revolver came the “navy” a shooting iron that had to be loaded like a musket, each barrel requiring separate attention. The single barrel, fed from a revolving chamber, was the invention of Joseph Shirk. There is a tradition Shirk showed his contraption to Colt while both men were traveling down the Mississippi river on a flat-boat. As a member of the plain sects it was not proper that Shirk should apply for a patent for a deadly weapon. Israel Lichty, of Goodville, still remembers how Jospeh Shirk experimented with the idea of a propeller to raise heavier-than-air craft as early as 1880. Lichty says that shirk constructed a windmill in miniature and then tried to determine how much weight could be lifted by turning wings. While his experiment never fed the development of aircraft it does help to understand the exploring mind of this farmer-inventor, who never studied the principles of physics. But Shirk did study botany, and he studied it the hard way. Equipped with a book printed in German during the 18th century he compared the wood-cut illustrations with plants which grew in his neighborhood. In this way he taught himself all about the genera and species of American plants. The 850-page tome written by D. Jacob Theodori and illustrated by hundreds of wood-cuts, was not indexed. Joseph Shirk prepared his own index for this ponderous volume. In building the index he arranged the Latin names of plants in alphabetical order and then supplied the Pennsylvania Dutch or German names in another column alongside the botanical names. Fortunately this book has been preserved. It is now the property of Mr. Israel Lichty, a nephew of Joseph Shirk. Lichty has followed in the footsteps of his uncle. He can identify almost 400 Pennsylvania plants by their English names, their dialect names and their botanical Latin names. Lichty has learned the medicinal properties of many herbs and by empirical methods has added to the lore which Joseph Shirk found in Pennsylvania flora. 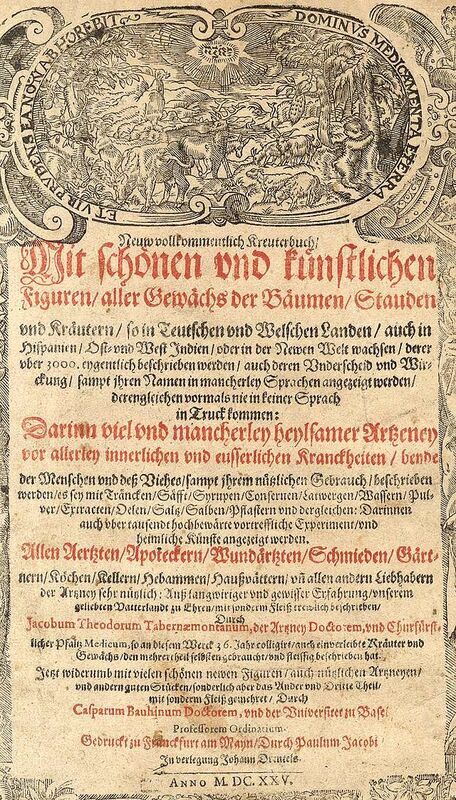 Lichty’s knowledge has been increased by the possession of a medical book which was written by a Doctor Baumler who was physician to the Prince of the Palatinate in 1756. This book remedies was given to Lichty by a successful practitioner who had no further use for it after he retired.